You are here: Home » Happy (and Safe) Friday the 13th! 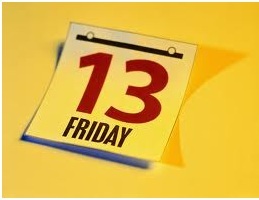 Happy (and Safe) Friday the 13th! ChefUniforms.com would like to wish you all a very safe and happy Friday the 13th! And remember: watch out for mirrors, black cats, ladders, sidewalk cracks and open indoor umbrellas! But if you do, say, rip a hole in your new chef coat accidentally, we’ve got plenty of replacements to choose from at ChefUniforms.com! From contemporary chef coats to traditional chef coats and everything in between! We’ve got colored chef jackets and mesh chef coats, and even short sleeve chef coats for those warm days in the kitchen. So stop on by www.ChefUniforms.com for all of your Chef Uniform needs!